Nestled deep in the San Juan Mountains of the Colorado Rockies lies the exclusive Dunton Hot Springs resort, a perfectly restored ghost town comprising hand-hewn log cabins replete with exquisite furnishings, a life-worn saloon serving exceptional fare, trails that sprawl through alpine valleys and, of course, sensuous hot springs that make the world (not to mention stress) melt away. Because you’ll pay the same price as you would if you booked through the property itself, but receive a number of upgrades and benefits only available through B&R. See “B&R Upgrades” below to learn more. 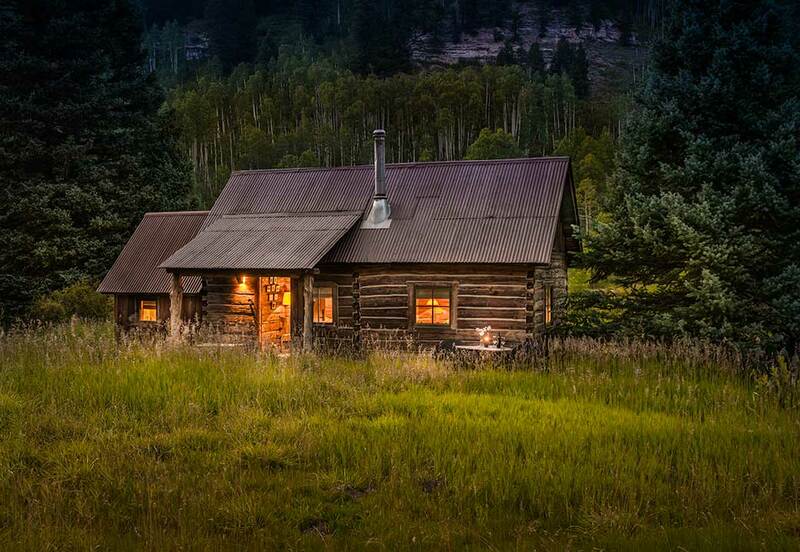 Set on a sprawling acreage deep within the San Juan Mountains, Dunton is perfect for those who want to truly escape and feel like they’re living off the grid (but not outside of Wifi range – each cabin is internet equipped!). 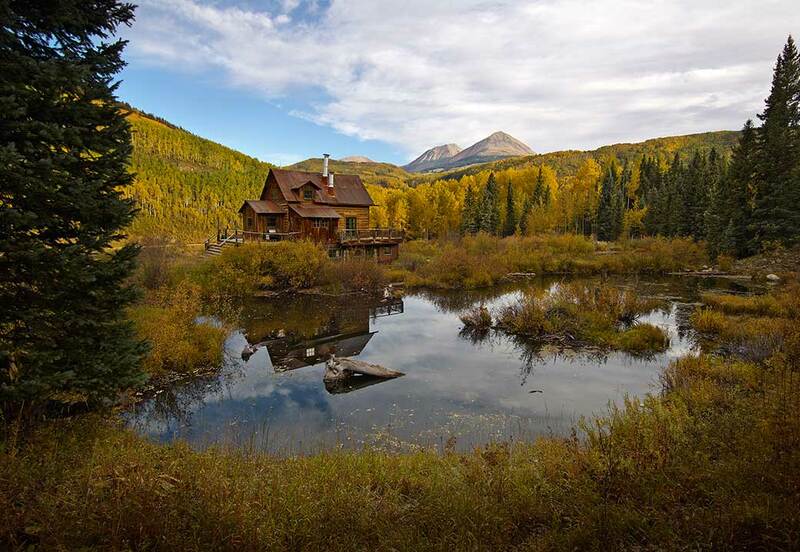 The property also includes the Dunton River Camp and Dunton Town House. Contact us for more details about these accommodations. Must-do Experience? I'll always have a soft spot for skinny tires, but I have to admit: the mountain biking here is amazing! 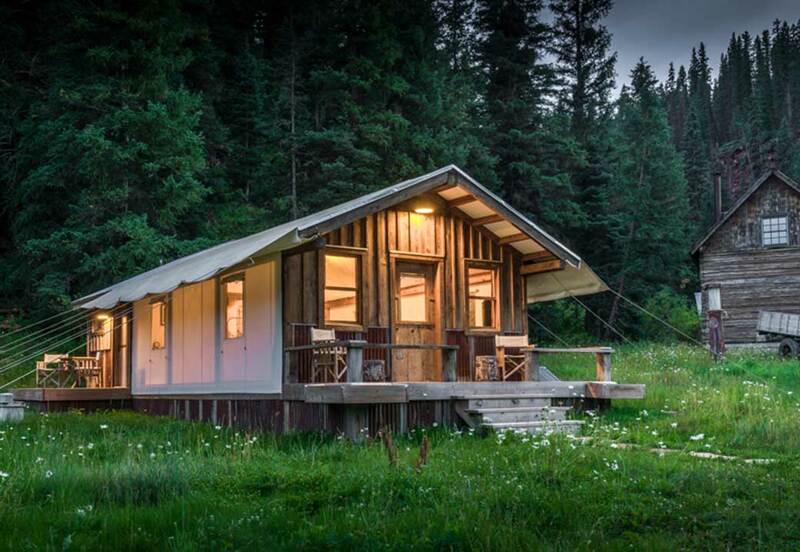 Dunton provides the perfect blend of relaxation and adventure. 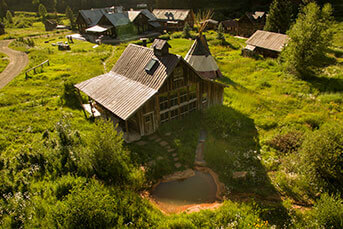 There are few feelings better than hiking in the high San Juans and then unwinding in a natural hot spring. A number of major airlines provide daily service to the region through Durango, Telluride, Cortez and Montrose. We can make arrangements to have hotel staff meet you at one of these airports and drive you to Dunton, or you can rent a car and explore the area on your own as you make your way to the resort. Dunton offers myriad ways to work up a sweat and explore the mountain countryside before you ease yourself into the soothing hot springs. All of Dunton’s authentically restored log cabins are full of fascinating details. Each one is hand-built (in some cases by the original miners themselves) and lovingly restored, each possessing a distinct character. Tastefully decorated, they’re full of unique artifacts and furnishings. Every window affords magnificent views of the mountains and the surrounding meadows. 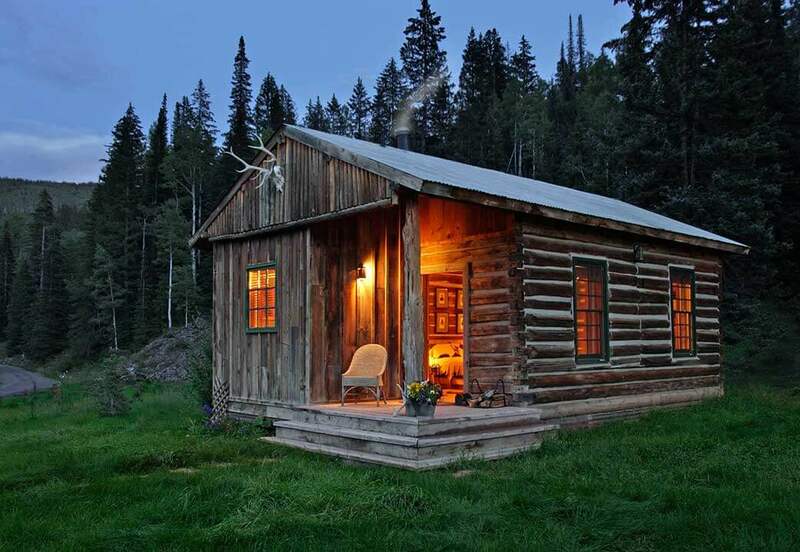 Dunton’s only cabin built around a small, on demand hot spring, along with beautiful views of the mountains and a fire place to boot! 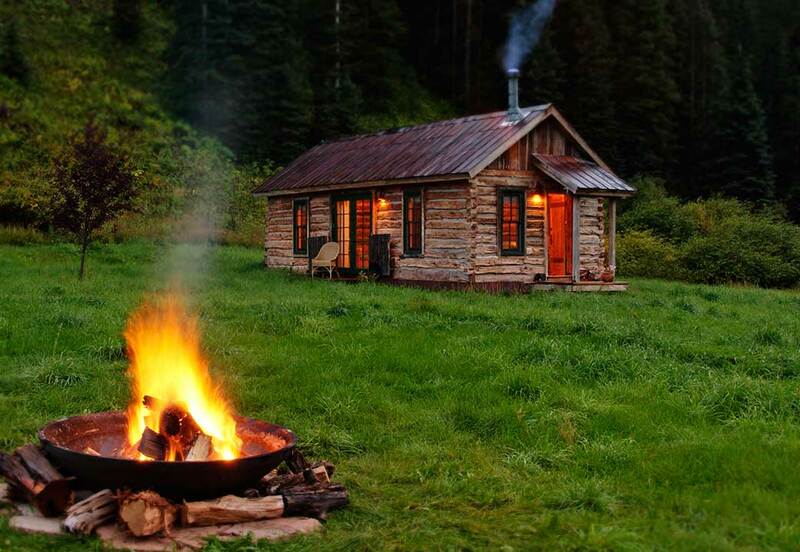 The perfect sanctuary in the great outdoors. If being so close to nature while bathing isn't appealing, the steam shower in the bathhouse is only a short walk from your front door. The owner's former residence is an immensely comfortable family home. From almost every window the views of the surrounding peaks are simply stunning. A private retreat in itself. Can also be a long-term rental. 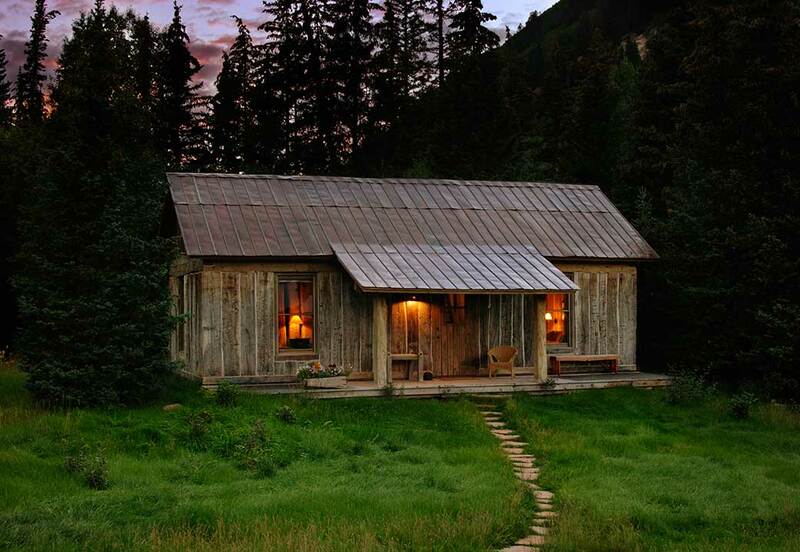 This large, unique cabin was constructed out of big vertical cottonwood timbers. It has two rooms furnished with exquisite antiques, a sensational view of town and the mountains. Nothing could lull one to sleep better than the sound of the neighbouring waterfall. Dunton's newest addition, and only all-season tent, is constructed of cotton canvas and reclaimed materials from the 1830s. The tent boasts a spacious floor plan with gas stove, and luxurious appointments, while the over-sized, en-suite bath features a generous shower with striking views of the Wilson Mountain Range. A Dunton original. Close to the source of the hot springs and just steps away from the saloon. 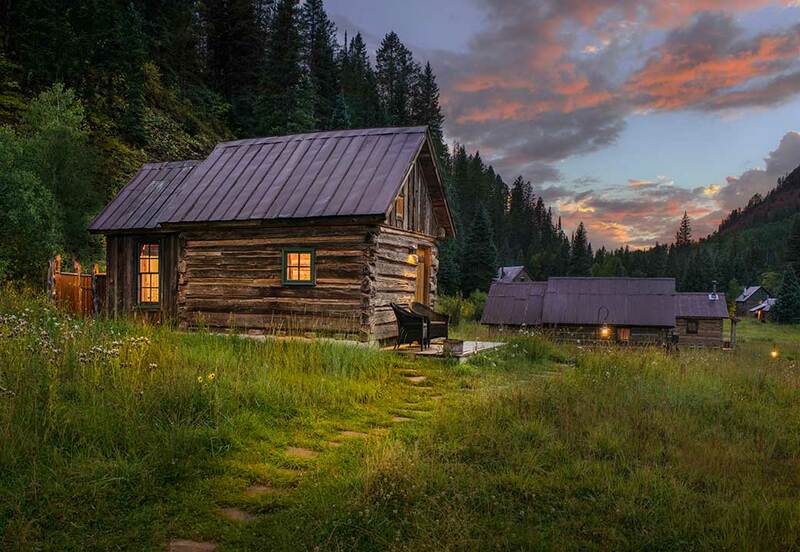 This cabin was built in the mid 1800s and is now beautifully restored and very comfortable for two people. Great views! One of our oldest cabins, named after the Scandinavian miner who originally built it. This wonderfully cozy cabin for two has a clear view of the waterfall. An original Dunton cabin from the 1800s. Sitting beside the river, it has been beautifully restored and features a Rajasthan wedding bed. Perfect for romantic seclusion.